Can't believe that it's November already. 2017 is finally coming to its end. So many great things have happened this year. So many great properties we have launched in 2017. But we still have more in store. Some amazing new projects are now available in the market for your investment. And no, it is not too late to make the investment of your lifetime. Australia is still the perfect place if you want to make a steady investment with a high return. In the other hand, for you who are new to property investment and are still in doubt about how property investment can be very profitable, you are not alone. Many people are still on the early stage of understanding property investment, especially in investing abroad, like for example, in Australia. We are here to help you and give you the right information that can broaden your views and bring your understanding to the next level. With a decade of experience and success, we believe that we have all the necessary expertise to assist our clients in choosing the perfect investment that accommodates their needs as well as their visions for the future. 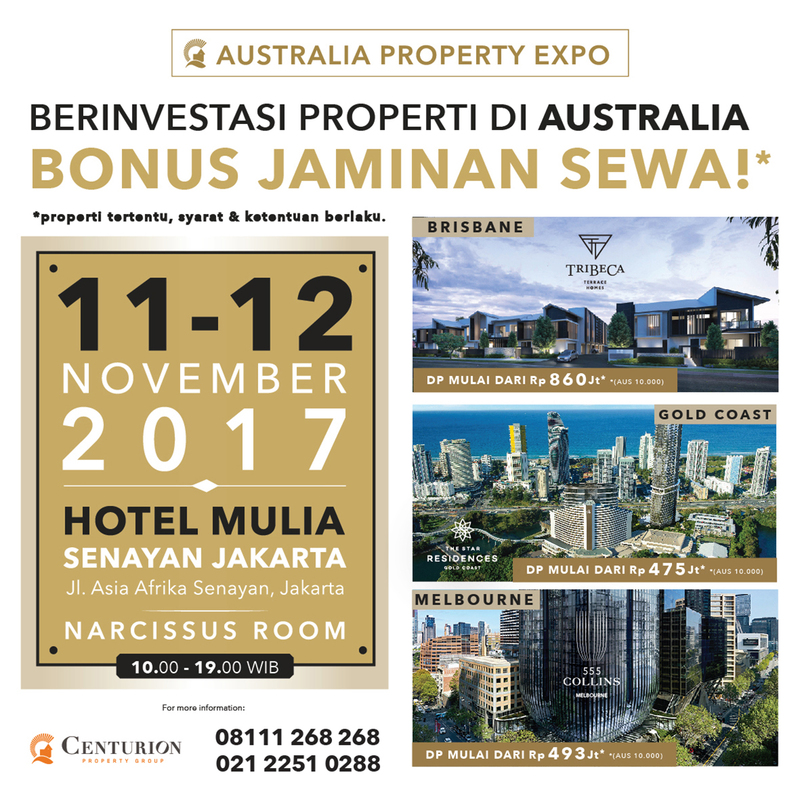 So, to know more about investing in Australia, you need only to spend a few hours of your time and visit our November Expo at Hotel Mulia, Jakarta. A couple of hours you spend with us might change your views, your investment strategies, or even more, your life. Call 08111 268 268 now for reservations. The Star Residences is one of those projects that amazes us because it is beyond beautiful... It holds a great investment value. So great that in just 48 hours after its first launch the project was already 80% sold! And we are grateful for the opportunity to sell this project exclusively to Indonesian buyers before it was launched nationwide. 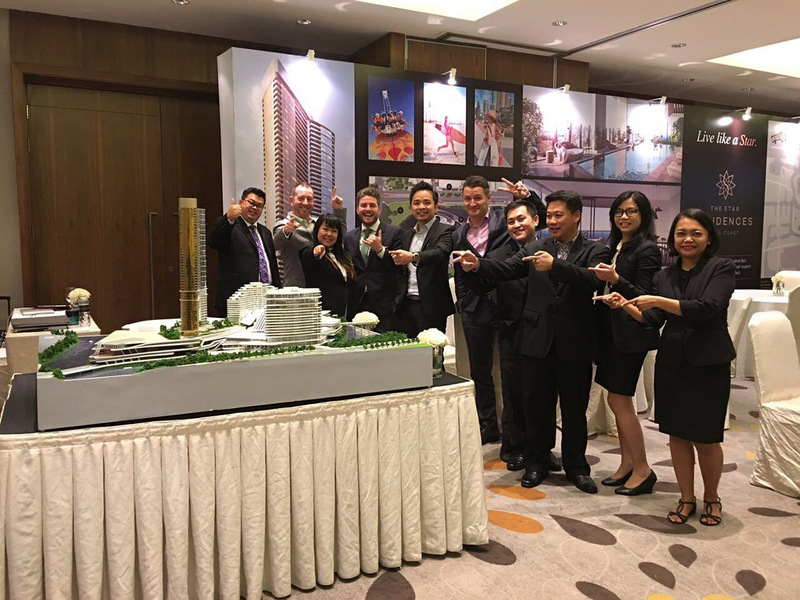 Rising above the shimmering Gold Coast skyline, The Star Residences presents buyers with the privilege to live in the heart of The Star Gold Coast’s world-class integrated resort. The Star Residences is located on Broadbeach Island, Broadbeach and will form part of The Star Gold Coast’s world-class integrated resort. The precinct transformation plans to deliver a whole new level of sophistication, service and style to the island masterplan including a luxury poolside experience and a host of restaurants and bars. Adjacent to the Gold Coast Convention and Exhibition Centre and Pacific Fair Shopping Centre, and only a short stroll to Kurrawa Beach, The Star Residences is perfectly positioned to offer the ideal blend of beach and inner-city lifestyle opportunities. Broadbeach Island also provides direct connectivity to the wider Gold Coast via access to the G:link light rail and bus stops, and main arterial route the Gold Coast Highway. Built by Far East Consortium, one of the leading property development companies in Australia, in partnership with The Star Entertainment Group. Located in Gold Coast, the popular holiday destination. Strategically positioned next to the most luxurious shopping mall in Gold Coast, The Pacific Fair. Rental yield at 4.5%, rising above Sydney, Melbourne, and Brisbane. In short, it is probably the best investment in Gold Coast to date. Interested to know more about this amazing project? Contact us now and secure your preferred unit. Call us at 08111 268 268.